The groomsmen are not just male attendants in a wedding; they are the groom’s best buddies who have been there for him through whatever odds there may be. They may be the groom’s college buddies, drinking buddies or even childhood friends and they would play parts in the wedding day by ushering the guests or just by simply standing by the groom as he say “I do” and take a plunge into married life. The groom’s men are also there for the groom even before the big day, they have planned the groom’s bachelor’s party and have rented their suits so they would look presentable and wrote some toasts for the groom and his bride. A simple thank you gift for the groom’s men would certainly be necessary and for sure anyone would not want it to be average or would go above and beyond. To pick out the best gift for the groom’s men is a bit tricky and this gift should be one out of the ordinary because the gift would say a lot about the groom and careful consideration should be brought in to. Need not to worry more; we have gathered the best gift ideas for the groom’s men. Feel free to check them out below. Whenever we feel a little tired and need energy boost, we do turn to coffee but what about our gadgets and other devices when they feel drained and low in energy where can they turn to? This coffee cup is conveniently shaped to fit in any car’s standard cup holder to recharge and boost smart phones, DVD players, tablets, game consoles and a lot more. It converts the car’s DC power into two 120 volt AC outlets. It also comes with 2.1 amp USB port as an extra charging power. It can power up to three gadgets at once. It comes in 6” by 3.5” in diameter and has an 18” cord. The groom’s men can now gear up and keep their gadgets running even while on the go with the coffee cup power inverter. If you are running out of ideas on what to give to your groom’s men, why not give something that they can use. Personal hygiene kits like a shaving kit will never grow old. This shaving kit comes with four elements of shaving which aim to give the perfect shave. The four elements of a good shave are the pre shave oil, shaving cream, after shave balm and badger brush. It is scientifically designed to cater even the sensitive skin types since it’s hypoallergenic and alcohol free. The starter kit comes unscented and is good for a week of comfortable shave. The ingredients of this shaving kit come from the unique blend of botanical ingredients and 100% pure essential oils that will surely provide optimal shaving results. Say goodbye to ingrown hairs, razor burns, nicks and cuts. This gift pack will help your groomsmen look their very best on your wedding day and even a week after it. It may be game over for the groom but not for the groom’s men yet. Make this funny memorabilia remind the groom’s men of your wedding day and make them thankful that they are not the ones who made the move yet. This drinking flask is customizable and comes in high quality vinyl with a vibrant print wrapped around it. This 6 oz liquid courage stainless steel flask is very handy and can easily be slid into a pocket and be taken even while on the go. It is 3.75” by 4.5” by 1” and with an attached screw top lid that would prevent leaks and spilling. This is an ideal gift for the groom’s men who are drinking enthusiasts, occasional drinkers or friends who have funny bones to mock the groom as he made this big decision. For the groom’s men who love to drink, this would be an ideal gift for them. Happy hour would be more fun and their home bar would be the perfect place to be. This comes in 4 glass set of 16 oz each. It is dishwasher safe so your groom’s men just need to toss them in the dishwasher without any fuzz. You can customize the glasses and put on some graphics or text so they’ll remember your big day every time they raise these glasses and make a toast. After all, practical gifts are mostly appreciated so giving them something that they could use often would serve its purpose and be a souvenir at the same time. 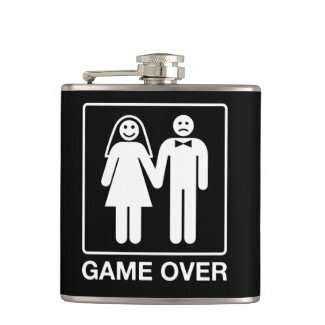 If the groom has a whole bunch of gamer groom’s men then this would be the perfect gift for them. These classic console usb game controllers would give your groom’s men the old school feeling of playing their video games. Good memories bring nostalgia. With these game controllers, gamers could feel and enjoy their emulated games more. It is used with a favorite emulator and is compatible with Windows and Mac OS. Buttons can be configured and there are no drivers required. The cord if 6 feet long so they can play while being reclined on the chair or from a far. Atari, Game cube, Genesis 6-button, N64, NES or SNES can be chosen. Bring back the old feeling of playing games and make your groom’s men fall in love with their favorite games all over again with the help of these classic console USB controllers. If you want to give a gift of experience to your groom’s men and would like to join them so you’ll have fun together, why not give them the gift of a weightless flight. Aboard a specially modified Boeing 727 G-FORCE ONE, weightlessness is experienced by doing aerobatic maneuvers known as parabolas. Before starting a parabola, G-FORCE ONE flies level to the horizon at an altitude of 24,000 feet. The ZERO-G experience is designed for individuals to enjoy true weightlessness without going to space. A pre-flight video begins the orientation covering everything you need to know concerning your ZERO-G Experience. Then, a go signal is given to unbuckle, all flyers will head to the Gold, Silver or Blue Floating Zone. 12-15 parabolas are flown for an approximate weightless time of eight minutes. After your weightless experience you and your fellow flyers will enjoy the re gravitation celebration where the pre-flight photos and certificates are handed out as well as the refreshments. The practicality of men always comes out even during gifting season. A gift that can be used not only one time would be highly appreciated by your practical recipient. The Pro Tech electronics repair tool kit is the ideal gift for the handyman groom’s men who loves to fix things on their own. Leaky faucet, dim light bulb, minor repair would be a thing of the past now with the help of basic tech repairs. The tools in this kit were selected based on the most frequent repair guides. It is ideal for cable opening, repairing, and other mainstream repairs as needed. It includes a metal sprudger set, Pro tech tool roll, 6 inch metal ruler, anti static wrist strap, precision tweezers, metal grabber, 54 bit driver kit and a lot more. A kit which contains high quality tools like the best buddies who are handpicked by the groom to be his groom’s men. For the turret lover groomsmen, this gift would definitely be a hit. This turret detects movements and its wings will open and announce target which will surely send anyone who is sneaking around your things to run fast and get away from your desktop. It bursts out different dialogues depending on the situation. It says “target acquired”, “there you are”, “I see you”, “preparing to dispense product”, “activated” when it detects motion nearby. It says different sayings when moved and knocked over and even when it is ignored for 30 seconds. The turret’s sound effects were all taken directly from the games. It is 7.5 inches tall and is USB powered that snugly fits into the computer or USB hub. It is a very entertaining and playful gift that fits the personality of your groom’s men.